Примечание 1: Эта статья написана практически на Simple English, так что понятна даже с минимальными знаниями английского. Все что здесь написано, действительно справедливо для Debian 8 (лично проверено). Примечание 2: практика показывает, что раздел настройки Kerberos можно пропустить. Похоже, что Samba сама настроит конфиг Kerberos. Достаточно чтобы стоял пакет krb5-user. This tutorial is going to show you how to join Debian 8 “Jessie” to existing Windows Server Domain Controller (Active Directory). When Debian is connected and joined to a Domain Controller, we can use the domain users and password to log in to Debian Jessie. There are couple things to do here. Before we go through, I assume the Domain Controller is up and running to provide user login capability to the network. I am using Windows Server 2012 R2 with Domain Controller enabled. In order to join a domain, Debian needs the following packages to be installed: ntp, samba smbclient samba-common winbind. Open Terminal, login as root and install those packages. First we need to check if the time is correct. You may also add your server address that provide time update. Edit the file /etc/netp.conf if necessary. In my case I leave this as default. Check the hostname using “hostname -f” Make sure it returns fully qualified server host name. You can edit your host name on the /etc/hosts and /etc/hostname if needed. Edit Kerberos file in /etc/krb5.conf. Fill it with minimal configuration as follow. Change GAMBLISFX.CO.ID with your own setup. Now Debian can get ticket from the AD domain successfully. Now we need to configure and join Debian system to the domain. We need to configure /etc/samba/smb.conf file. Now try to join domain with the following command and test if all working. 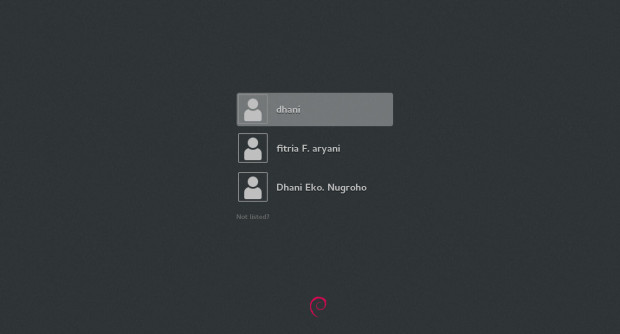 Now we need to setup authentication so domain users can use their password to login to Debian. Edit /etc/nsswitch.conf and add winbind to it.